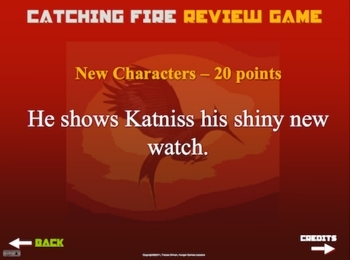 Recently added to my Catching Fire Novel Unit, this is a bundle of four Jeopardy-style review games that go with my Catching Fire tests. 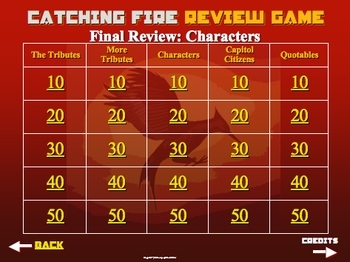 Each review game has 25 questions & answers, totaling 100 questions & answers. 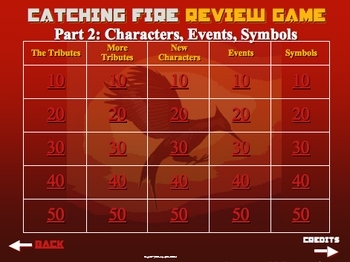 Use this before the tests or as a fun game to play at the end of the unit. 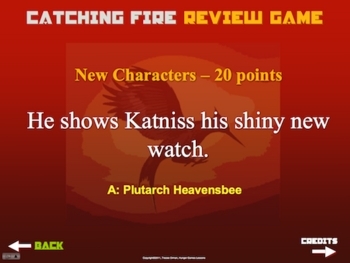 You can also use it in conjunction with the Hunger Games & Mockingjay review games for a fun Hunger Games trilogy trivia night!